Years ago, at the height of their career, Alan was told by his new coach to stop competing on the dance floor and to just enjoy it instead. Strange advice from someone paid to help win them yet another national championship. But Alan said that the effect was life-changing and extended their career by at least another 5 years. And they kept on winning. ...especially if success for you is more than just winning. 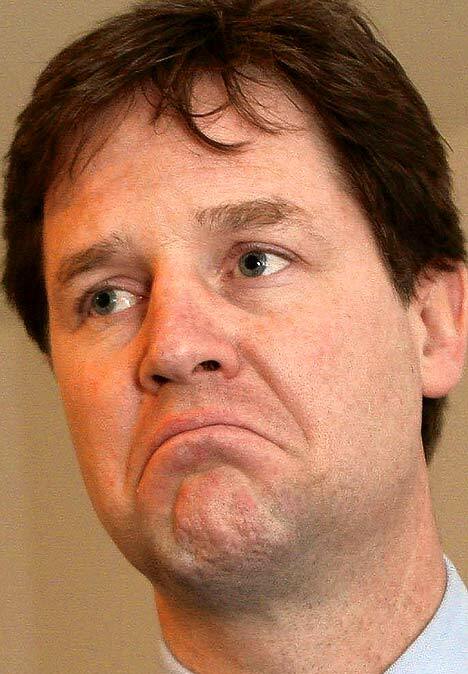 I try to avoid politics as a rule, but I can't resist commenting on Nick Clegg's recent video mea culpa. Now I like NC, not necessarily his politics, but I like his earnest candour and his apparent willingness to say it as it is. When you've made a mistake you should apologise. But more importantly - most important of all - you've got to learn from your mistakes. So he moves from an abject apology to a general directive that we must all adopt his code of ethics to make everything good. He uses the 2nd person - that's you and me. I'm sorry, but it's not unequivocal, and it's not personal - it's arguably sanctimonious and insincere. And that's why the spoof is more interesting than the original. I've just signed up for Insights Discovery's accreditation programme which will allow me to run personality profiles on my hapless clients. To be honest, I've steered clear of profiling for many years and this feels almost like I'm selling out. But I do recognise that for many people out there, this kind of process can represent their first foray into any kind of self-awareness - and that has to be a good thing. I'm also a big fan of Carl Jung who did the groundwork behind this system and others such as Myers Briggs. So, as long as I use this process strictly as the start of the conversation about behaviour, and not as an end in itself, I'll be happy that I'm not compromising any principles. Just one little problem - the management culture that's got them to where they are today, will keep them there for ever and a day. The charismatic founder and CEO is able enough to dive into and fix problems across the business very effectively. And in doing so undermines and demeans the responsibility of his management team. Lo and behold, they do the same, thus unwittingly cascading the corrosive management style throughout the business. The result: a disgruntled workforce unwilling to take ownership of issues - and a business that will attract people that need to be told what to do at every turn... and how to do it. So, as Alice said, "If everybody minded their own business, the world would go around a great deal faster than it does."